Pacquiao, who lost to Floyd Mayweather in his last fight, wants to run for a seat in the Philippines senate in 2016. Britain's Amir Khan is one potential opponent for 36-year-old Pacquiao, with American Terence Crawford among the other contenders. "I think I'm ready. I've been in boxing for more than 20 years," the six-weight world champion told ANC. "If you are a senator, your focus should only be your job and your family. "I will have to give up the other things that require my attention." 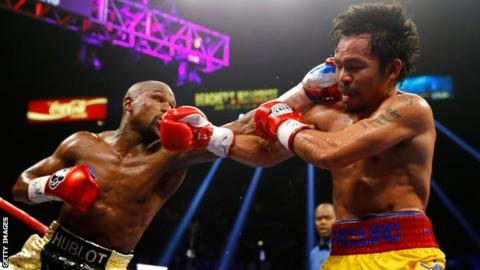 The Filipino, who underwent surgery to repair a torn rotator cuff after the fight against Mayweather, boasts a fight record of 57 wins, six losses and two draws.